This plan starts with minimal yardage and grows in volume over the 12 week period at about 12,000 yards a week by week 11. Upon completion, it will allow you to handle the volume for group swimming (like a Masters Program). 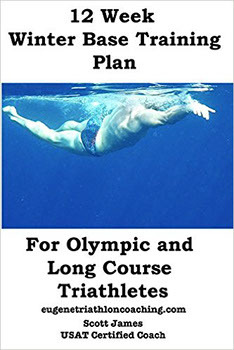 These swim plans contain drill work, specific yardage, and rest based intervals. These are moderate volume workouts and would not be considered advanced. The focus is on distance per stroke, stroke rate and mindful swimming. At all times the triathlete should be thinking about efficient movement through the water. The goal of the swim is to be able to run fast off the bike. Successful athletes know that while you cannot win the triathlon on the swim, you can definitely lose it. That applies to age group podiums and Kona slots as well. Scott James is a USAT Certified Coach. 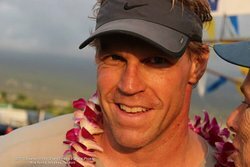 He has been triathlon coaching since 2002 and is the University of Oregon Tri Club Coach. He has finished multiple Ironmans. He qualified for and finished the Ultraman World Championships in 2013. He is a four time Ultraman finisher. His athletes have tallied overall wins, age group podiums and qualified for the Ironman World Championships and the Boston Marathon. 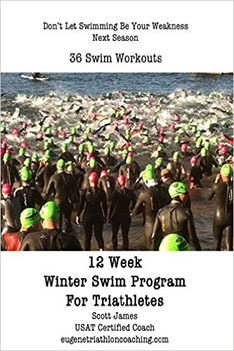 A 12 week winter training plan for experienced triathletes that want to race next season. These endurance based weekly workouts will build your aerobic base so that you can race faster and longer. Contains time, mileage or yardage and pacing intensities for each specific workout. There is no magic pill you can swallow to be successful at endurance sports. It takes hard work to race fast and be successful. This detailed plan builds in volume through the 12 week program and is designed for athletes with a strong work ethic. Written by Scott James, an Ultraman World Championship finisher. He has been coaching since 2002 and has had athletes qualify for the Boston Marathon and Ironman Kona. Scott is a veteran triathlete and has participated in other ultra-distance endurance events. 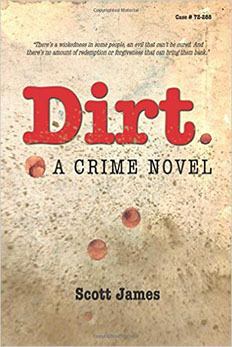 In his first novel, Scott James brings 1970’s Pacific Northwest police work to life. It was a time when mustaches and revolvers were standard issue and the rules were more lax, but the policeman's Oath was the same: Uphold the Law. Three twenty something cops are at the beginning of their careers in two small Oregon towns. They are learning to balance the demands of their chosen profession and the women they love. David is a rising star in his department. Colin is a rookie determined to uncover the truth behind the murders of two teenage girls. Doug is a Vietnam veteran who shoulders heavy guilt and motivation to avenge past wrongs. When an unwanted visitor comes to town asking for forgiveness for his sins in Southeast Asia, Doug’s not so distant past comes racing back to haunt him and the dark secrets from Vietnam teeter on the brink of being exposed. The events that follow challenge the three men’s beliefs about right and wrong as they realize police work is never as black and white as it seems and in the end no one will leave the job unscathed.